Hello, all you tricked people. It is the Barbies, here to take over the world of American Girl! You’re tricked! 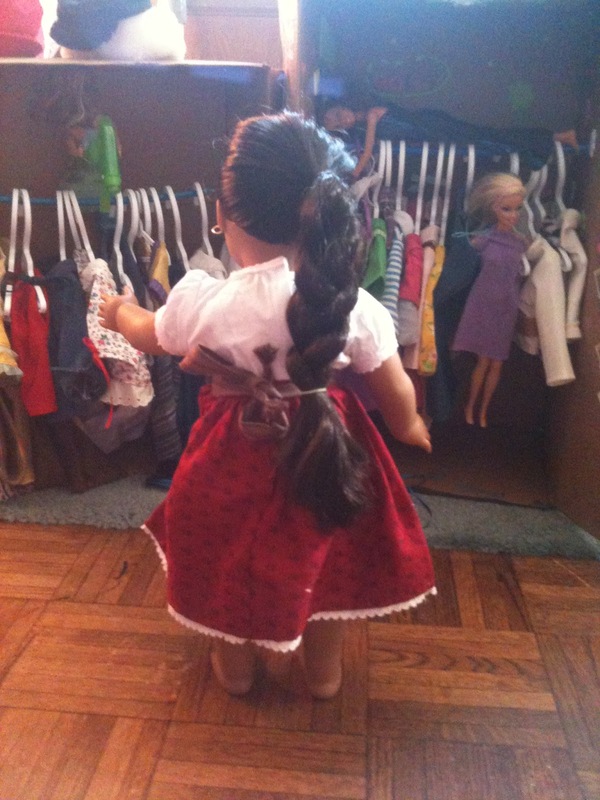 American Girl is not great at all!!! If you agree with us, WATCH US REVENGE!!! The girl in the long blue dress, Brittany, spoke up. “She was sick, so she couldn’t come.” SICK? SICK?! That was a teenager’s excuse of BEING LATE FOR THESE HIGhLY INTELLIGENT MEETINGS?! Well, then again, us Barbie’s were all teenagers. “Oh, well,” I said. “It’s time to get some revenge. Madison hardly plays with us anymore. AG’s have stolen our spotlight! 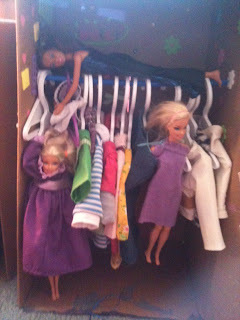 !” Hazel, (the one in the white dress) H. Skipper (the one in the purple dress) and Brittany all nodded their heads. “Remember what we discussed yesterday, ladies,” I hissed. “Take your places in the AG lair. NOW.” Since I was an Air Mermaid, I could fly through air. I would supervise the whole thing from above. 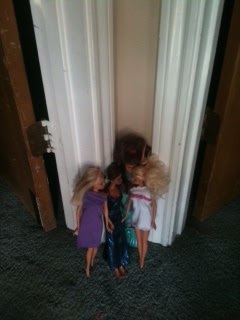 H. Skipper, Hazel and Brittany ran to the closet. Brittany on top of the clothes rack, Hazel in the sleeve of some funky historic dress, and H. Skipper squished between bulky clothes. They had to stand there for hours, but that was part of our plan. You see, it was hot in there. Sooner or later, sweat begins pouring from their faces. It drips onto the clothes. To ruin them. PERFECT REVENGE! After that was launched into action, I came down from the air, stealthily and slowly. 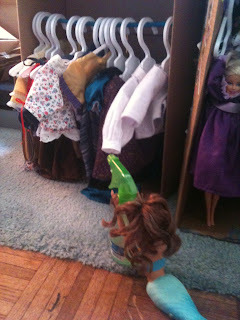 Grabbing the hair spritzer thingy-mah-jig, I started spritzing the clothes rapidly. The water would mildew and ruin their other closet of clothes. PERFECT REVENGER, I TELL YOU! 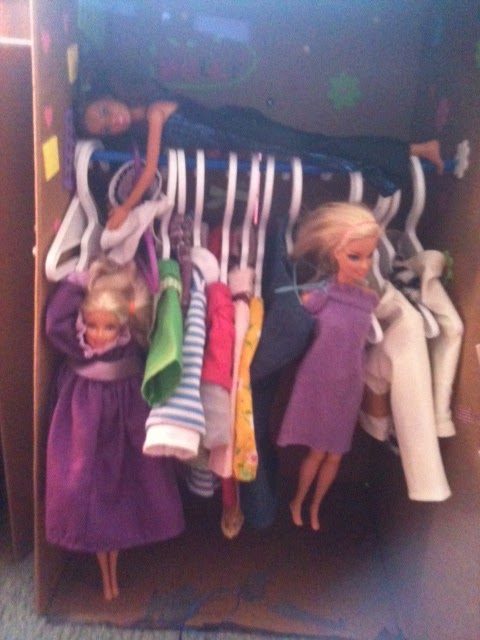 Everything was working out fine until H. Skipper, Hazel and Brittany started giggling evily with revenge. That Mexican dinosaur heard, and stepped in. “What in the world…..” she mumbled, until she saw us. She screamed. END OF BARBIE’S REVENGE, PART 1. STAY TUNED FOR PART 2!!!!! I believe the we have a little revenge to set up!!!! OH NO!! Molly,Cecile,Josefina LOOK OUT!!! AG is WAY better than Barbie!!! I Totaly agree! and so does my doll! I know this is from 3 years ago… but I still am gonna comment on it!!! This is HALARIOUS!!!! “rooted is the way to go” XD So funny!!! Hehe! I’m so glad you like it! I had a ton of fun making it! ? ?